We have confirmed Director Sallie Houser-Hanfelder will attend and provide a brief update on the new VA Hospital. 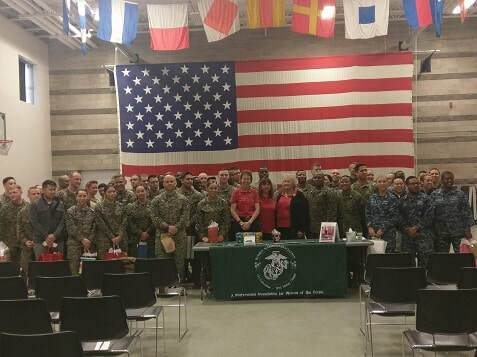 Our guest speaker is Lt. Col. (r) Jennifer Nothelfer who is our Area 7 Director for National Women Marines Association. The cost of the luncheon is $25 and seating is limited to 40 people but we’ll try to make room if more register. You may also pay on line by donating $27 to the chapter to cover credit card processing costs. Simply click "Donate" above! PLEASE RSVP IF YOU HAVEN’T ALREADY! THIS IS AN ALL HANDS ON DECK EVENT! We generally meet the third Saturday of the month at 3PM unless otherwise published in Email or Facebook or on this site in "Special notices" We ALWAYS have a good time! The Anniversary of the Women's Reserve is Feb 13th, 1943. We celebrate the date that women became a permanent part of the Marine Corps Annually as close to that date as possible. US Marine Corps Memorial Ceremonies on Memorial Day and the Saturday before Veterans Day. See the Link to get directions and find out more about the events. USMC Birthday Luncheon at the Denver Athletic Club is a great way to celebrate this special day organized by a group called "Rocky Mountain Marines". WMACO1 provides mementos to guest speaker and others. 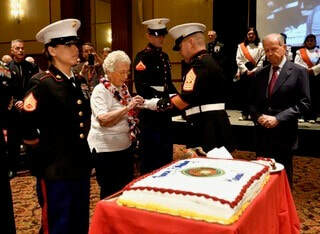 Women Marines often serve as the Eldest Marine during the cake cutting ceremony. Shown here is "Babe" Houser who is 96 years young in 2017! Guest Speaker was Bud McFarland. This 2017 photo shows the group of Marines and a few of us turned out for the breakfast! Over 50 gifts/gift cards and hotel stays including Beaver Run in Vail,Renaissance Denver, and Crown Plaza Aurora were won in a drawing for them! Women Marines pictured are Sheila Scanlon, Paula Sarlls, Donna Kraidy and our volunteer Secretary/bookkeeper who is a Marine wife & mother- Mary Eckhout! Join us this year mid - December for this great event! This Chapter teamed with Bed Bath and Beyond Patrons to buy and donate goodies for the troops in Iraq. Part of our mission is to help veterans. 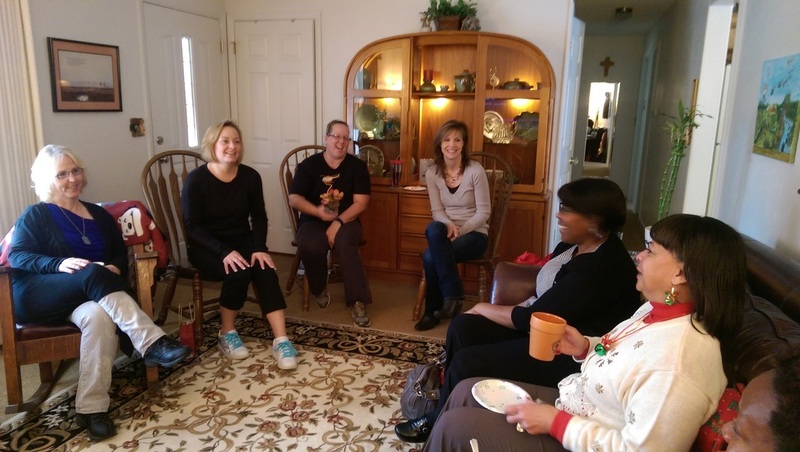 On occasion patrons donate things to us because of our wide network of veteran contacts. This year the tickets went to Jessica Berry and her two children. The week before (opening game) they went to Gold Star Wife and Marine Veteran Paula Sarlls and her family.